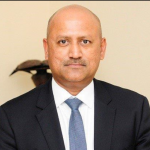 Sanjeev Gupta is AFC’s Executive Director for Financial Services. He is responsible for Treasury, Trade finance & Syndication and Corporate Advisory lines of business within AFC. Mr. Gupta has over 25 years’ experience in Investment Management, Private Equity and Corporate Advisory Services. Sanjeev’s forte has been to blend together global and indigenous corporates, financial investors, and governments to develop commercially viable business and development models that leave a sustainable impact on emerging market economies. Prior to joining AFC, Mr. Gupta was the Managing Partner of Emerging Markets Mergers and Acquisitions Center of Excellence at Ernst and Young. He was also the Chief Executive Officer of Sanlam Investment Management Emerging Markets operations and a Founder and Managing Partner of Emerging Opportunity Consulting, a boutique advisory firm specialising in SME financing. He holds a bachelor’s degree from the University of Calcutta, India and is an alumnus of the Said Business School, University of Oxford, England. He is a fellow of the Institute of Chartered Accountants, India (FCA).